Chances are, if you are in a long-term relationship, you began your relationship feeling a mutual attraction and something of a bond. Over time, most couples experience alternating periods of conflict and harmony. Sometimes, you may recognize that your disagreements tend to follow a similar pattern—maybe you even find yourself saying “Oh, not this again!” Arguments will happen, and negative thoughts are not indicative of something wrong in your relationship. What matters is how you repair the inevitable wounds of conflict and maintain the security of the relationship. Through therapy you can learn to recognize how your pattern is triggered and, using that awareness, work toward conflict that is less frequent, less intense, and that is shorter in duration. The first step is to recognize your pattern/style. Keep in mind, these patterns, cycles, or dances may reflect the usual style of conflict but can look like other cycles as well. Your dance may not always be the same, but you may recognize one or two that are typical for you. This pattern is most common. In this dance, one partner tends to pursue or provoke during conflict, while the other retreats—each behavior triggering the other to further pursue and further retreat in kind. Partners in this category tend to respond to difficult feelings by reacting harshly to each other. Rather than sharing their fear or being vulnerable with each other, they become simultaneously defensive and offensive to obtain reassurance from their partner. Behaviors in this pattern include each partner yelling, demanding, complaining, and criticizing. In this cycle, each partner tends to avoid or withdraw (physically and/or emotionally) as a response to difficult or hurt feelings. If you are exhibiting this type of behavior, you may find that you try not to have difficult conversations or say what you are really thinking in order to avoid discomfort or disharmony in the relationship. While this may result in less arguments, the drawback is that you and your partner may feel unseen and unheard. Remember, these styles feed on themselves. How someone deals with difficult emotions is both a reaction to a threat and a trigger for the other person. Couples therapy can help you, not to eliminate disagreements, but to learn from them in a way that strengthens your relationship. 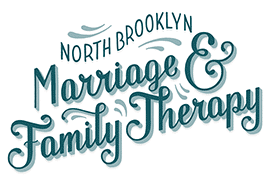 At North Brooklyn Marriage and Family Therapy, we will help you identify and improve your current argument style. 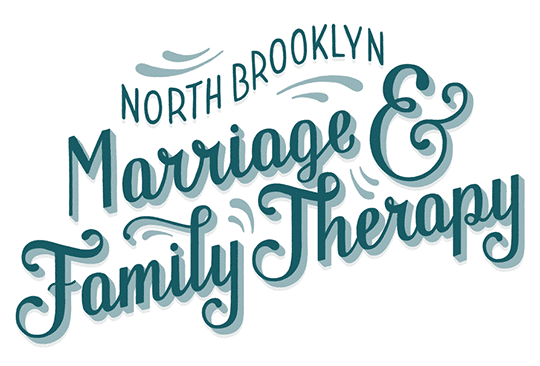 Contact us today and discover how you can overcome any difficult conversation between you and your partner.